Kim Hollis: What are you excited about for the Fall TV season? 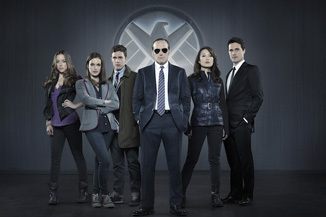 Matthew Huntley: Definitely excited about Marvel's Agents of S.H.I.E.L.D. and The Michael J. Fox Show, although I likely won't be watching either of them live; plus old favorites like Homeland, Community and Justified. I just moved, so I definitely have to get a TV! Jason Barney: I am looking forward to the new cast of SNL. Can't wait to watch the new season. Edwin Davies: Agents of S.H.I.E.L.D. is the only new show that has really piqued my interest - what can I say? Joss Whedon is my guy and I want him to have a hit show again - but I'll probably sample any of the other shows that get good reviews. If you'd asked me last year what I was looking forward to I probably would not have predicted that The Americans and Hannibal would be two of my favorites, so I'm looking forward to being surprised. Apart from those, I'm always excited for Parks & Rec, Archer, Community (which, with the return of Dan Harmon, promises to be a fascinating season) SNL and Justified.